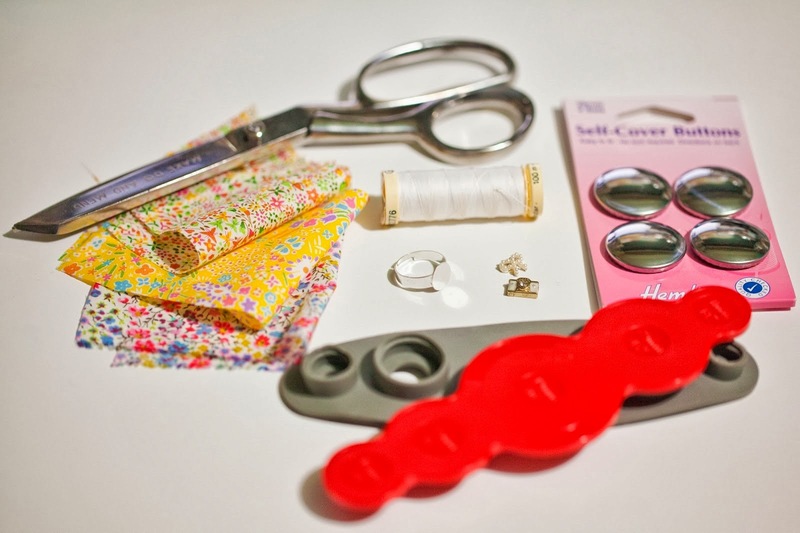 You will need: Cover buttons (I used 29mm and 22mm metal ones) fabric scraps, thread, scissors, a ring blank, jewellery glue, a button maker (optional) and some old broken earrings or charms. Start by removing the shank from the front of the cover button with a pair of pliers. 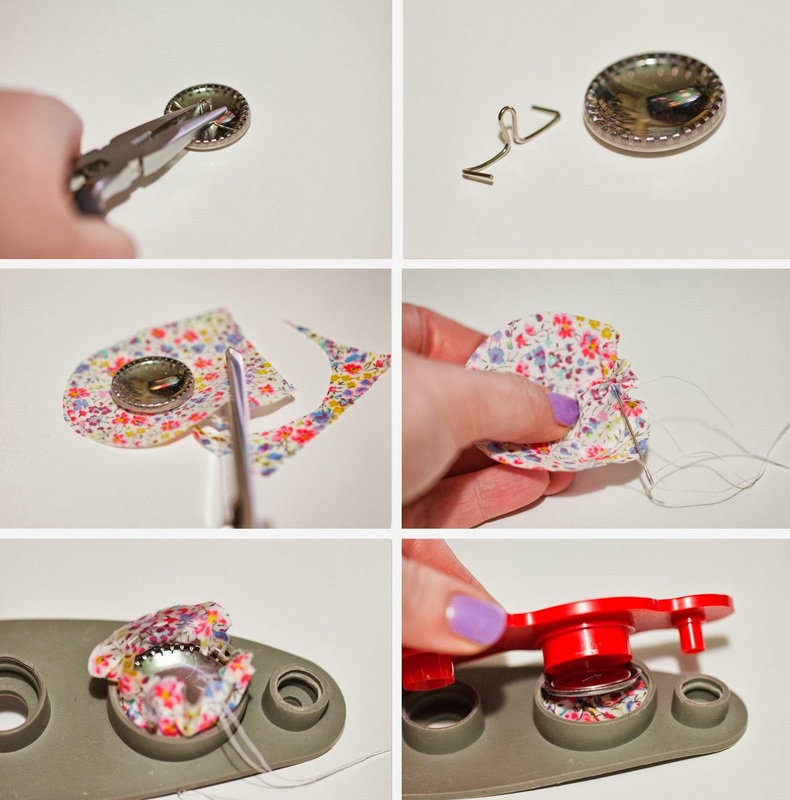 Cut your fabric scrap to fit around your button front (there is usually a guide on the packet, I just estimated). Then stitch all the way around the edge of your circle. At this point you can pop your fabric and button into your button maker. This helps to smooth out the fabric evenly and makes it easier to pop the back on place, but you can do that without the maker. You need to pull the fabric up around the back of the button and trim away the thread, before pushing the back firmly in place. Once the back is on, you can pop the button out of the maker and you have a flat backed cover button. Turn it over and squidge a blob of glue on the back and pop your ring back in place. 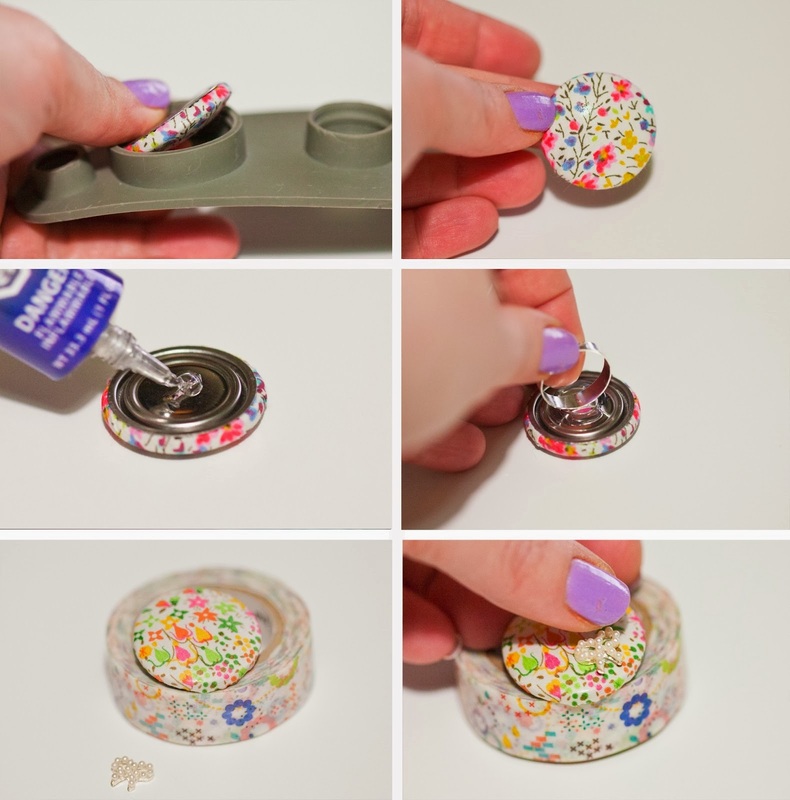 Once your glue is dry, I use a roll of Washi tape to support the ring so I can glue on a charm. You can use cutting pliers to take the post off the back of an old earring, or the loop off a charm to glue to the front. 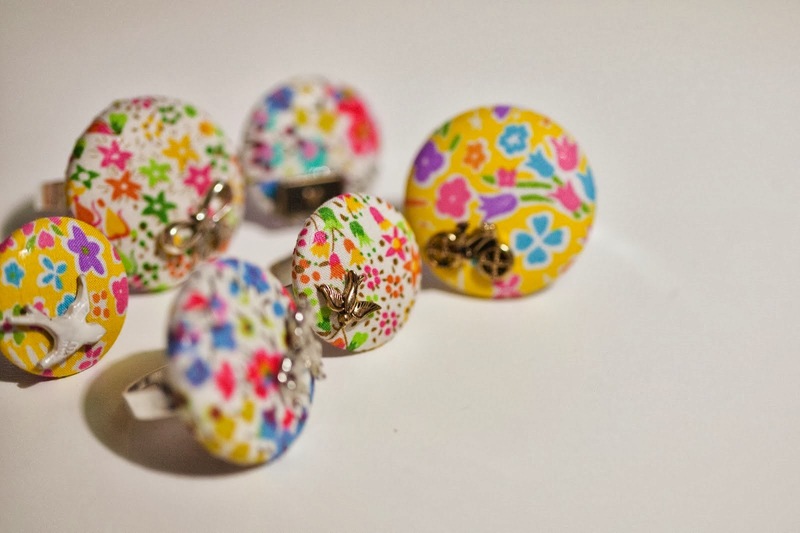 This is great for personalising your ring, you can use any little charm and it is great if, like me, you have lots of odd earrings to make use of. Leave it to dry overnight and then your ring is ready to wear or gift to a friend. And this little bird one is so cute, think I'm going to have to keep that one! 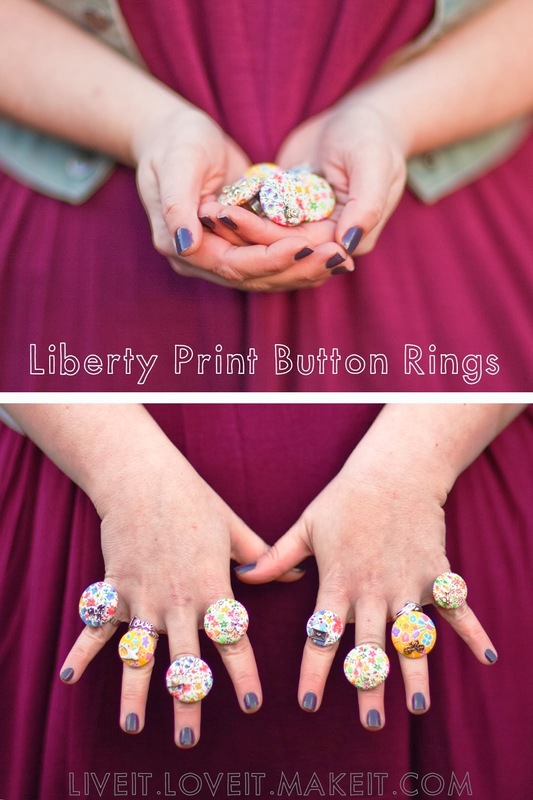 You can use any fabric you like, just make sure the print is small to make the most of it on the small area of the button. There are loads of ways to get a hold of charms and earrings if you don't have any lying around. I like the sales at New Look, Claire's, and Accessorize to pick up those cards of multi odd stud earrings, they work wonderfully for these projects. 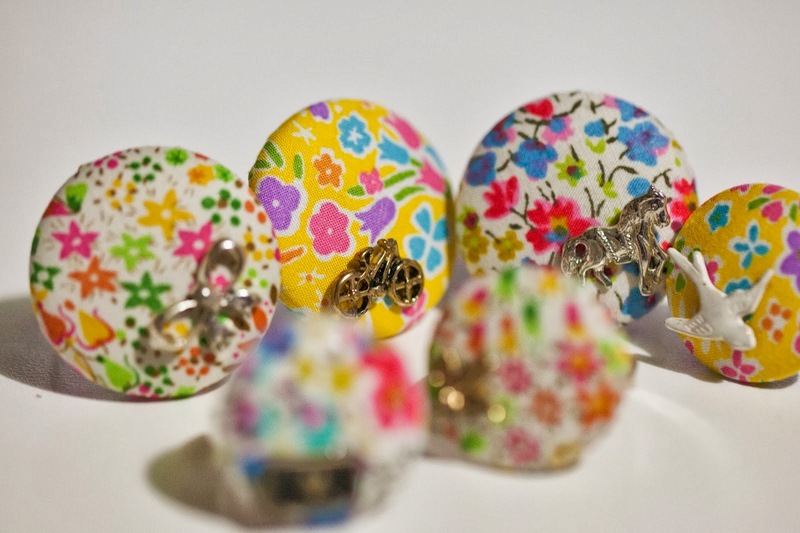 What little personal charm would you add to yours? ?